Now the question is, which car should I take? Or the road trip proven roadster that will easily achieve 28mpg while being flogged, equipped with a racing bucket seat and requires “creative” luggage packing. This trip (should she accept) would be done with my girlfriend since she REALLY wants to go to Portland and Seattle. I could see her deciding to fly to Seattle to meet me and only travel one way home. But either way, I’d be planning to be accommodating a passenger then. So obviously the Miata is at a “practicality disadvantage” but considering it worked for 4000 miles across the country, half that can’t be all that bad! Plus it being most likely late summer (Aug/Sep), the top down weather along the coast will be ideal. 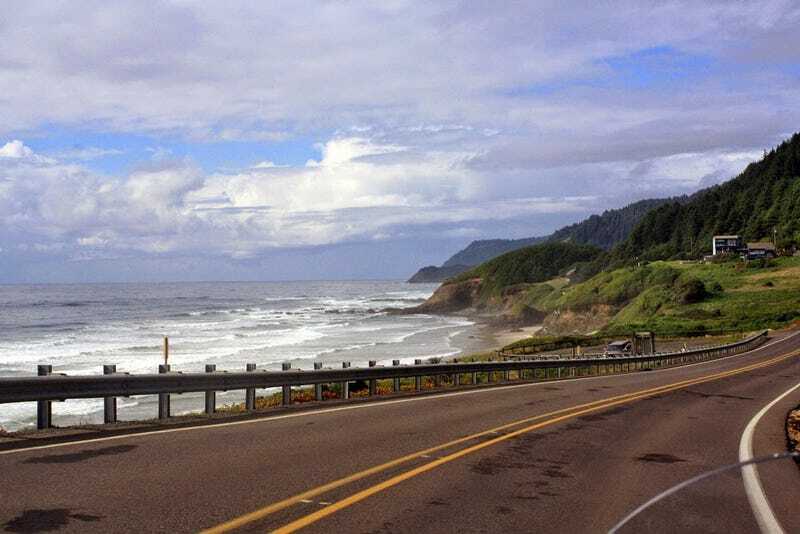 The genesis of this trip idea for me is that I originally planned on driving a Northern Route on my cross country journey and including that whole section along the coast to finish the trip. Since I ended up travelling in November and missing out on that chance, I am looking to still live that journey ASAP.